Manufactured: By Martin Smith Studio in the UK. 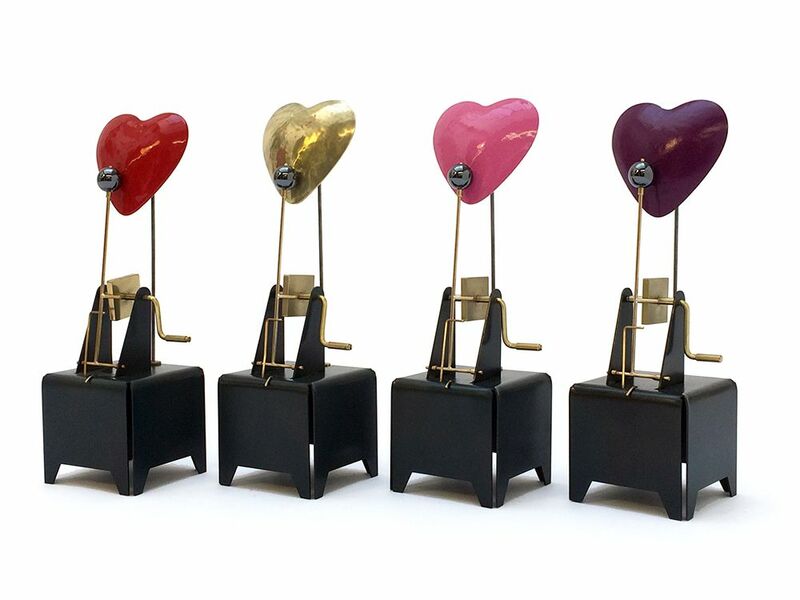 Materials: Patinated steel base, brass heart and mechanism. Dimensions: Height 17cm / 6.5". Heart Colour: Red, Brass, Pink and Purple. An alarming little machine to demand the attention of the one you love.